January 20th, 2015 – In 2014, the gas demand in Spain fell by 9.7% compared to 2013. This decrease in total demand unfolds in a fall of 8.7% in gas consumption for electricity generation and 9.9% in the demand for conventional gas. The decline in gas consumption for electricity generation was the result of a fall in the combined cycle production, which has been declining steadily since its peak in 2008 and during 2014 worked below 10% of its capacity, while in 2008 was able to work at 48%. The main factors that influenced this decrease were: the fall in electricity demand (-1.2%), increased electricity production with coal (+10.6%) and a similar coverage of the demand with renewable technologies to 2013 (45.7%). 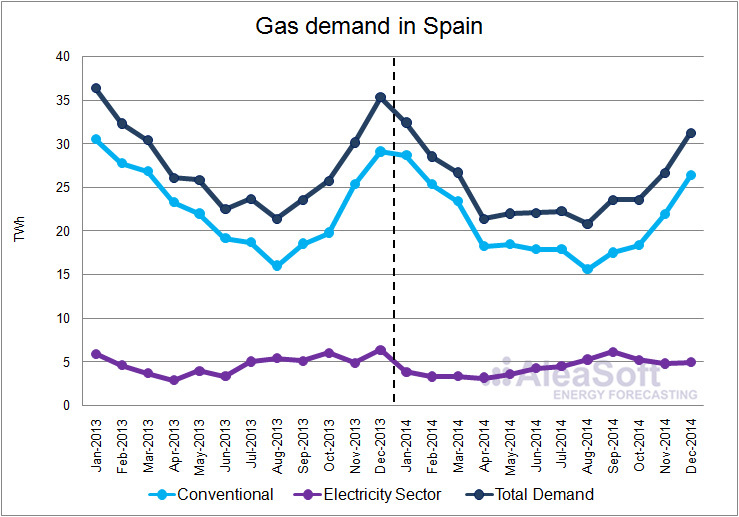 Moreover, conventional gas demand in Spain fell due to weather conditions that brought milder winters in 2014 (+1.0°C on average in January, February and March, and +0.8°C on average in October, November and December, compared to the same months in 2013) and less use of cogeneration for electricity production, which in 2014 decreased 20.2% compared to 2013. Cogeneration is one of the technologies most affected by the new legislation on electricity production. Conventional gas demand in Spain, which includes domestic, commercial sector and the industrial sector, accounted for 82.8% of the total gas demand during 2014, very close to the value obtained in 2013. 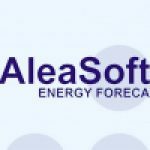 AleaSoft estimates that conventional Spain gas demand will rise slightly in 2015. This forecast of the evolution of conventional gas demand is estimated considering a scenario with historical average temperatures and GDP growth of 1.7% for 2015.